Full documentation on using the SIMetrix schematic editor for simulation is described in the SIMetrix User's manual. 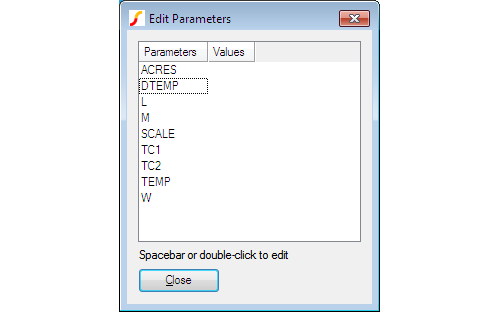 However, just a few features of the schematic editor are of particular importance for running the simulator and for convenience their description is repeated here. The analysis mode selected using the schematic editor's Simulator > Choose Analysis... menu is stored in text form in the schematic's simulator command window. If you wish, it is possible to edit this directly. Sometimes this is quicker and easier than using the GUI especially for users who are familiar with the command syntax. Note that the text entered in the simulator command window and the Choose Analysis dialog settings remain synchronised so you can freely switch between the two methods. To open the simulator command window, select the schematic then press the F11 key. It has a toggle action, pressing it again will hide it. If you have already selected an analysis mode using the Choose Analysis dialog, you will see the simulator statements already present. The window has a popup menu selected with the right key. The top item Edit file at cursor will open a text editor with the file name pointed to by the cursor or selected text item if there is one. You can add anything you like to this window not just simulator commands. The contents are simply appended to the netlist before being presented to the simulator. So, you can place .PARAM statements, device models, inductor coupling specifications, .OPTIONS statements or simply comments. The Choose Analysis dialog will parse and possibly modify analysis statements and some .OPTIONS settings but will leave everything else intact. Find out the default name generated by the schematic editor's netlist generator. To do this, move the mouse cursor over the net of interest then observe the netname in the status bar in the form "NET=???". Force a net name of your choice. For this, use a terminal or small terminal symbol. These can be found under the Place > Connectors menu. After placing on the schematic, select it then press F7 to edit its name. This name will be used to name the net to which it is connected. The above method is not infallible as it requires the schematic editor to know about the device being edited. In some circumstances, this will require special properties to be present on the symbol and these may have not been defined (for example something to tell the schematic what level a MOSFET is). Another situation where the usual device editing methods may be unsuitable is when you need to define a parameter as an expression. Note the model name must be included.